With a deep-rooted passion for obscure international adventure, Victoria Yanakos is always looking for her next travel destination. 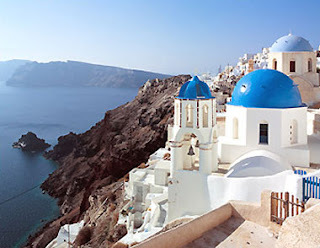 Currently vacationing in Bolivia, Victoria has been kind enough to jot down her insider picks from Greece. When she’s not traversing the planet for Jaunt, she resides in New York City where she covers fashion and cosmetics for RR Donnelley. It’s next to impossible to maintain a moderate attitude when faced with a trip to Greece. Whether it’s clubbing all night in Athens or eating fish in the islands until you have to lie your head on the table (which serves a double purpose as you are now closer to your ouzo glass), being in Greece is one of the most decadent and necessary travel experiences in the world. For first time visitors or long time enthusiasts, a logical and ideal place to start your Greek sojourn is in Athens, entrenched in thousands of years of history, the majestic city hums with the splendor of philosophy and ancient culture. Now a rushing metropolis, when deciding where to lay your hat, I say, bypass the opulent (if not a bit austere) Hotel Grande Bretagne and opt for something more original. 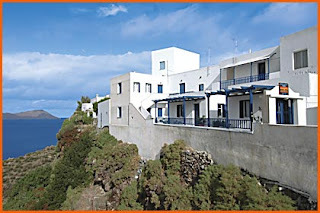 Located in the hip district of Psirri (Ψυρρή), is a boutique hotel packed with amenities and personal service. Each of the ten rooms swirl with an undercurrent of urban decadence and boast in-room massages, custom ordered bed linens, and direct dial phone numbers. 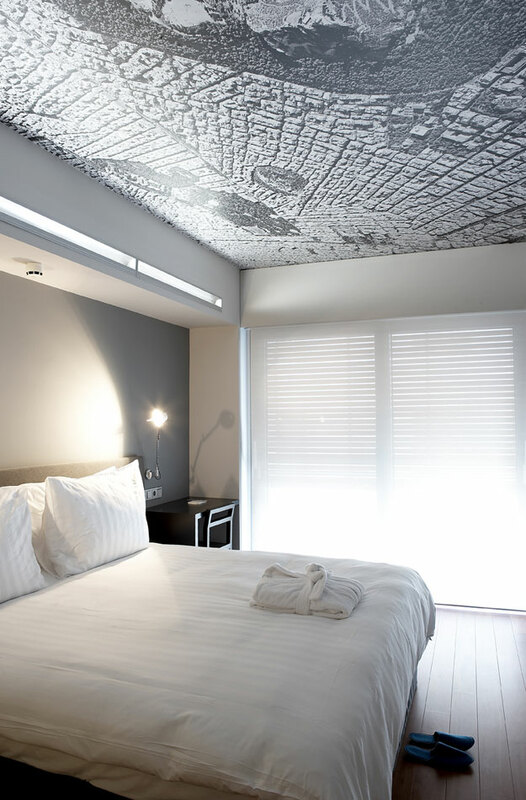 In Athens’ fashionable Kolonaki (Κολονάκι) district, this four-star hotel is surrounded by some of Athens’ best boutiques. Holding true to its name, it also offers a periscope on the rooftop for guests to survey the whole of Athens. 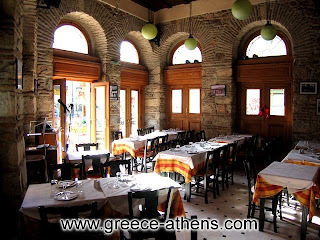 When dining in Athens (or anywhere else in Greece), you have an array of venues from which to choose. Just keep in step with the local feasting culture: fast, loud, and excessive. 1. Reaching across the table, over your neighbor’s plate and mid-air forkful of spanakopita? Perfectly fine. 3. Feel free to turn your used wine glass into an ashtray. Smoking is actually a course (or three) in any Greek meal. 4. If you have room for “seconds,” you’re not really trying. Start with a plethora of μεζεδάκια (mezed-Α-kia) or small plates to sample the various traditional Greek dishes like moussaka and tsarmasalata, a dip made from caviar (and our EIC’s personal favorite). Add a generous portion of ouzo and a finale of baklava. Αγία Μαρίνα (Agia Marina) – a small beach between Varkiza and Lagonissi hosting a variety of seaside fish restaurants. A strip of tavernas in the neighboring town of Glifada, which specializes in meat – biftekia. Roughly thirty minutes from city center, any cab driver will know both areas by name. Finally, check out the Acropolis and catch a concert at the Herodion Theater at the base. A good night out in Greece is always in order. The district of Psirri and the area near Syntagma Square (in the center of the city) offer a great local selection of hip clubs and bars. On Kolokotroni Street – an epically long-central table, handmade chandelier, and oh so unambiguous name. 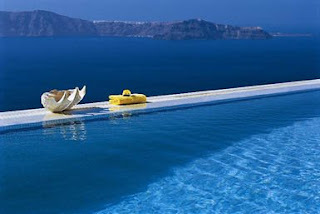 Best in summer, Island overlooks the Aegean Sea. More high maintenance than in Psirri, but with breathtaking views and pulsing energy it’s worth the drama of getting in. When leaving Athens to retreat to any number of Greece’s tastefully chic and rustic islands, I recommend stops in Santorini and Milos. Both islands are easily accessible by plane or ferry from the mainland. Formed by a massive volcanic explosion, it’s arguably the most iconic and dramatically beautiful island in the Cyclades, if not one of the most visited. With sharp jagged cliffs overlooking the perfectly clear blue waters, Santorini is a haven for honeymooners and vacation connoisseurs alike. It is also home to hundreds of small intimate hotels perfect for a romantic getaway or relaxing retreat from daily life. OIA – check out a gallery or two here. In the evening Oia tends to be more subdued. 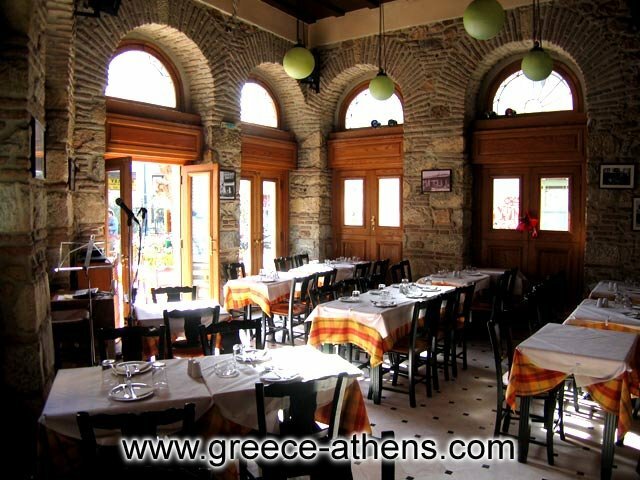 A wonderful choice if you are looking for a more tranquil dining atmosphere. Renting a car or moped is a great way to get between the two towns and explore the outskirts of the island. 99% of the cars available will be manual, so if you’re rusty on your shifting skills, go for the moped. As it turns out, explaining how you wrecked the rental car is infinitely more difficult in Greek. 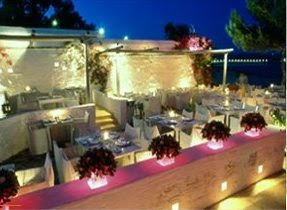 KATINA’S RESTAURANT – This small outdoor taverna is literally steps away from the water and hosts a menu of the freshest local catch and various Greek specialties. They don’t have a website, but if you follow the sunset down the hill to the base of the Amoudi Harbor, you’ll find this seaside treasure easily enough. Via ferry from Santorini (with a connection in Sifnos) or direct flight from Athens, Milos should also be a stop on your Greek getaway. Off the beaten path for foreign tourists in the Cyclades, Milos has a quiet charm that sings along with the pristine surroundings. Distinctly less “touristy” – and by non-touristy we mean fewer Midwest fanny packs but more men in hot pant bathing suits – once arriving to port, it’s a good idea to rent a car or moped as the best beaches are spread out across the island. In contrast to Santorini, Milos has a great number of spectacular beaches for you to explore. Two on the top of my list are Tsigrado and Paliochori. Surrounded by dramatic rock formations and waters of rare clarity, these beaches rival some of the best in the world. One note about Tsigrado: for the less adventurous traveler this beach is most easily accessible by boat. If you’re up for the challenge, you can also reach the beach by descending the steep hill careening up from the water’s east bank. Depending on the time of year, this hill varies in its degree of severity. But don’t worry, there’s a rope (from the 1960s but it’s still good). Also commonly known – in our apartment – as the single most captivating stretch of land on the planet. This “moon beach” was formed by layers of white volcanic rock, which, in addition to its complete lack of vegetation really give you the feeling of being on the moon. The smooth curves of the lunar landscape underfoot are great for sunbathing or cliff-diving into the blue sea below. 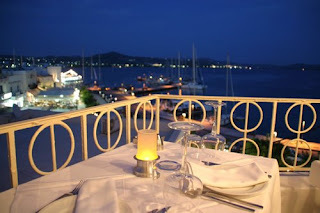 ARAGOSTA – in the port, one of the few trendy spots on the islands. Slightly less grassroots, but the food and atmosphere are wonderful. ERGINA – if you’re craving something more authentic, and in tune with the islanders, check out Ergina in Tripiti. Tucked away on a secluded hill, this taverna (named after the owner) has a great selection of family recipes and local flavor and her husband will walk you through the dishes in English, Italian, French, Greek, or other. 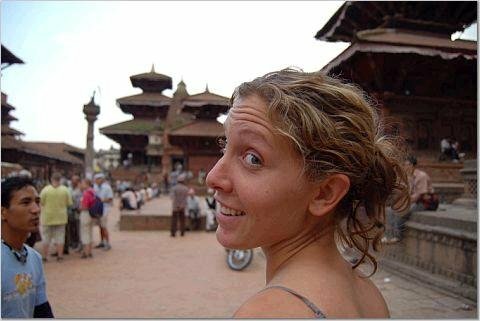 Ask the locals for directions to Tripti – the restaurant is on the sea side going up the steep hill. HALARA STUDIOS – located in Plaka, the charming capital of Milos, these studios, although basic, offer spectacular views and attentive service. Be wary of the throngs of hotel advertisers in the port when you arrive. Accommodations in this part of the island will be loud and overpriced for what you get. 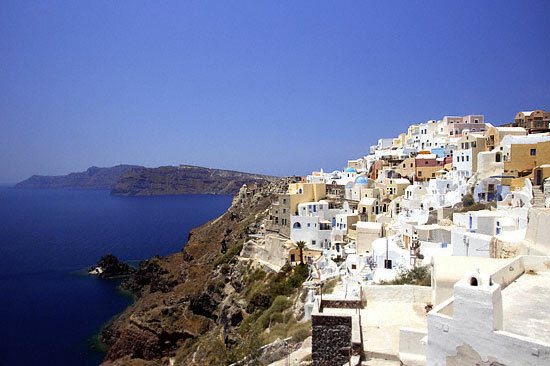 Instead, rent a car and head to Plaka for a more genuine and enjoyable stay. Now how’s that for handing our readers a hot Greek getaway? 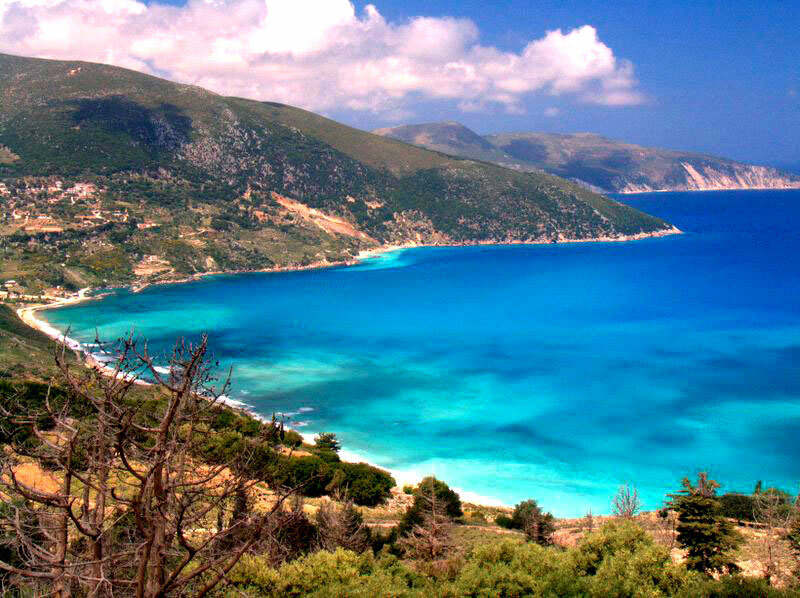 With the power to sweep you off your feet or submerge you into her blue waters, we say Greece is one country that promises to satisfy your sweet life cravings.